Julia’s fifteenth birthday was an old fashioned party with mountains of food set out on paper plates and a big birthday cake with candles. She had all her school friends and family around her. It was what she wanted. At fifteen she was still young enough for that sort of party. Next year, at sixteen, she would be too old. And since she had missed so many chances for this kind of birthday when she was younger, everyone was happy to fulfil her wish. 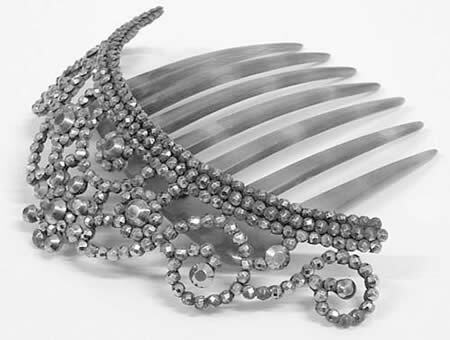 Chrístõ gave her diamonds, set into a gold hair comb. He made it himself in his workshop in the TARDIS, from Gallifreyan gold and diamonds. Another half dozen of the gems from the Lœngbærrow mines that would rightfully be hers when she was old enough to be his wife and her wedding dress would be covered in diamonds and their wedding the talk of all Gallifrey. It was a year to the day since his exile began. As he finished the birthday present he wondered if they WOULD ever have their Alliance of Unity in the Panopticon, conducted by the Lord High President himself. He had heard only snatches of news in the past year. The last he knew the Citadel that housed the Panopticon was a bombed shell, destroyed by the Mallus. And the Lord High President was dead. His family were safe, the last time anyone saw them, but that was months ago, and their lives were in peril every day. He hadn’t even heard anything of Hext since that day at the concert before Christmas. He shut down those thoughts. He had SEEN their Alliance in Julia’s future timeline the first day he met her. Li Tuo had also seen it when he read her timeline. It was real. It was going to be. And that thought had given him the hope that kept him from despair in the long year of exile. He was certain that he would go home again and that all WOULD be well. Julia must have remembered that the news of the fall of Gallifrey came the day after her birthday. But he didn’t let it sadden her birthday party. He danced with her to the music provided by Herrick’s music system. He drank fruit punch with her and ate the party food. She was at his side as she chatted to her friends and when she sat and opened the pile of beautifully wrapped presents and joyfully thanked everyone in turn, even her two cousins who had managed to wrap two books she would actually enjoy reading. She was thrilled by Chrístõ’s present and let Marianna put it in her hair where it glittered beautifully against her rich dark tresses. Of course, she still wore the first diamonds he ever gave her, in the silver pendant where they picked out the constellation of Kasterborus. Then Marianna gave her the biggest parcel. She opened it excitedly and smiled with joy to see a beautiful doll inside the wrapping. It was a big one, standing the height of a small child, with an innocent, child-like face with a pink, pouting mouth. It had brown eyes and dark hair like Julia herself and Chrístõ was the first to notice that the doll had a dress and shoes that matched hers and even a gold-coloured comb in its hair. “How did you manage that?” he asked Marianna as Julia smiled and hugged the doll joyfully. Whoever sold it must not have known the true value, Chrístõ thought. But that was their problem. Julia was enchanted by it. She looked all of fifteen, almost a woman. But at the same time her eyes shone like a child who loved her new toy. She was making up for the lost birthdays. And for that Chrístõ would willingly have paid what that doll was really worth and more. She never let it out of her sight all through the party, and afterwards, when her friends had gone home, when she sat in the warm, quiet drawing room, eating left over birthday cake and drinking cocoa, while becoming progressively sleepy, she clung to the doll nearly as much as she snuggled up to Chrístõ. She brought it to bed with her. When Chrístõ went to his own bed, Marianna smilingly waved to him at Julia’s door. He looked in and saw her fast asleep with the doll on the pillow beside her, two dark haired heads side by side. He noted that the doll was now wearing a matching pink and white flannel nightdress. The next morning, the doll, christened Tanya, was left on the windowsill of her bedroom, wearing a purple cardigan with a white blouse and grey school skirt. Julia laughed at the idea. But he wasn’t entirely joking. He was curious just HOW complete the imprint was. He was VERY impressed by the technology and surprised it was used for something as trivial as a doll. But he had a day’s work to do and he didn’t have time to think about dolls while he was teaching. It was after lunch and Chrístõ’s students were using one half of the school gym for Tai Chi practice. The gymnastics team, including Julia, were using the other half to practice for the inter-schools championships. Chrístõ was employing a lot of self-discipline to concentrate on Tai Chi and his own students instead of watching their routines. He DID notice that Julia was wearing her custom made leotard with the gold Seal of Rassilon embroidered on the front. And he noted that she was the star of the team. The coach gave her special attention, putting her through her beam routine again and again and fine tuning the technique that would earn half the points, along with the presentation that nobody seemed able to fault. He steeled himself to the martial arts discipline and reached a level of concentration and perfection in his own movements that his students sought to emulate. But that concentration was broken in an instant. There was a pained scream and gasps of horror from the other students. Chrístõ turned and ran across the gym floor to be at Julia’s side. She lay on the crashmat beneath the beam, her leg twisted underneath her body and her face screwed up in pain. He gently straightened her leg and examined it carefully. He could feel even without any special Time Lord powers that her ankle was broken. “It’s just a sprain,” he lied to her and to her anxious friends and teacher as they looked on. “Stand off, please. I can help.” He put his hand on her forehead and eased the pain first. Then he encircled her ankle with both hands and concentrated. He never used to be any good at this, but he had done it with Hext’s help when Dúccesci had been injured by Savang and he thought he could do it on his own now. He gave it his best effort as he willed the two parts of the broken bone to fuse neatly together. It was a clean break, and would have mended itself of course, but only after many weeks immobilised, a lot of pain and the anguish of missing the inter-schools championships. Julia had said time and again she would give up gymnastics when she married Chrístõ. In the meantime she wanted to take it as far as she could and win all the medals possible for her age group. And he didn’t want her to miss out on them while recovering from a nasty injury. “Try to stand up,” he said at last. “Lean on me, sweetheart. It’s ok…” He held her by the shoulder and gently raised her to her feet. He had mended the bone, but the muscles and ligaments would still be sore and she would look like she had a sprain. She was still in shock, too. She trembled as she clung to him and stepped off the crashmat. “She needs rest,” Chrístõ said to her teacher. “I’ll take her home.” He turned to his own class and told them to carry on with their Tai Chi for the rest of this period then work on their science projects until end of lessons. As one, they made a respectful bow to their teacher in recognition of the martial arts discipline and obeyed. The gym coach sent her girls to get changed. They were all too upset to continue. Chrístõ asked one of them to bring Julia’s coat and he put it around her as he carried her to the car park. That reassured her. She sat quietly the rest of the way home. She let him carry her into the house, where Marianna was waiting anxiously, warned by a phone call from the school. She took charge of her until she was in bed then Chrístõ was allowed to sit beside her. He stroked her head gently and soothed the pain and anxiety until she slipped into a restful sleep that would complete her recovery. “I always wanted to do that,” he admitted. “But really there isn’t much need for medical qualifications on Gallifrey. We get ill so rarely there.” He looked around at her teenage room, where pictures of him shared the wall space with pop star heroes. The doll, sitting on the windowsill, was a reminder that the teenager still had a lot of little girl in her. He noticed it was wearing the flannel nightdress again. He noticed that its foot was twisted strangely. He stood up and looked at it. The ankle was jointed, and could turn in nearly the same range of movement as a Human foot, but it had been knocked out of the plastic socket. He fixed it and brought it to put in the bed with her. Chrístõ looked at the doll next to Julia in the bed. Its dark eyes opened and shut as he moved the pillow slightly. No more than that, though, surely? He picked up the doll again and looked at it carefully. It was just a plastic doll – though a well made one, as Marianna said. The detail of the face, the fingers, were very fine, individually moulded, not just fused together as some dolls were. The feet were the same - each toe was properly formed. As an only child, and a boy at that, he didn’t have a lot of opportunity to undress dolls. It felt rather strange doing so, and he was rather glad to have Marianna watching. It felt less peculiar. The nightdress lifted off though, and beneath it the doll had a sort of thin cotton vest and knickers. Beneath those it was just plastic. And curiously, without the clothes, it looked far less realistic. He turned it around and looked closely. There was no mistake. He wasn’t imagining things. Undressed, it just seemed like a plastic doll with no charm or character. Even the face looked less distinct. He dressed it again quickly and the transformation was subtle, but it was real. The clothes WERE made from the same fabric as Camilla’s empathy suit. But he didn’t see how THAT could make a plastic doll look so much more ‘alive’. And nothing could explain why the doll and the girl had suffered identical injuries at almost the same time. He wasn’t sure if he believed in coincidences. He put the doll back into the bed beside Julia, though. She was fond of it, and it would be a comfort to her. “What did you expect to find?” Marianna asked quietly. She had watched his examination of the doll without comment. She helped him move the chair. He sat by Julia’s bedside and watched her as she slept. Marianna watched a little while longer, then quietly left the room. A little later, she looked in again. She brought two cups of tea, but Julia was still asleep. She put one cup on her bedside cabinet and gave the other to Chrístõ. She said she was going to pick up her sons from school and when she got back she’d bring up a tray for them both. Chrístõ thanked her and sat back in the chair as he quietly watched Julia sleeping. When Marianna brought up the food he woke her gently. She sat up and roused herself, though it seemed to take her a long time to do that, as if she was fighting the tiredness. She ate the food, but it was as if she hardly tasted it, and she went back to sleep again almost straight after. Chrístõ brought his laptop computer and prepared the lessons for tomorrow’s class as he sat beside her. It was a little piece of normality on an abnormal day. Usually he did this work while she did her homework, and afterwards they had the evening to themselves. He had his responsibilities, though, and he completed his lesson plan and read the submitted essays from his students, noting that the Corr children were becoming much more imaginative now. The younger girl, Clara, had a real talent for poetry, for somebody who didn’t even understand the point of it six months ago. A better family life and his own talent for bringing out the best in his students had worked that change. He could take pride in that achievement. And he did, but just now as the sun went down on a grey, late winter evening, his pride was dulled by his concern for Julia. Marianna brought supper on a tray, too. Again Julia roused herself to eat. Again, she seemed not to taste the food. She said she had a headache, and Chrístõ used the medical analysis mode of his sonic screwdriver to make sure there was nothing he had missed earlier that could be causing it, then turned it to another setting that made her forehead feel as if a cooling balm was being applied to it. “I can’t find anything obvious,” he said. “But you’ve had such a bad day, and you’re bound to feel a bit out of it.” It was a pathetic medical diagnosis, he knew. But it was the best he could think of. She talked to him a little, but again it seemed as if she was fighting sleep. Chrístõ watched as her eyes closed and she drifted off again. Marianna came in to collect the trays and agreed with his conclusion that she was just a little out of sorts. It didn’t make it any more of a diagnosis, and he felt as if he was letting her down by not being able to pinpoint the problem. He turned off the main light and just kept a small night light on by the bed. He turned down the bright landing light while Humphrey slipped along to Julia’s room. He put a note on the door ‘Humphrey within, no bright lights’ and closed it firmly. Humphrey trilled mournfully as he moved over the bed and gave Julia one of his emotive hugs. She stirred in her sleep and laughed softly. Chrístõ thought that was a very good sign. But it was the only response at all from her all evening. When everyone else went to bed, he reluctantly left her side. Humphrey hunkered down on the bottom of her bed like a pet dog. Chrístõ was happy to leave him guarding her. He made himself relax. He had a work day tomorrow, after all. He needed to rest. So he cleared his mind of worries and let himself into a low level, dreamless trance. His mind and body were refreshed and he woke hopeful in the morning. He showered and dressed and went down to the kitchen. He, himself, made up a tray with two breakfasts and brought it up to Julia’s room, expecting to see her awake and smiling, and taking advantage of not having to go to school. The room was still dull, with the curtains closed. Humphrey slid under the bed before he opened them and let in a weak sunlight on what promised to be a more springlike day. He opened the window, too, and let in some fresh air. Julia was still asleep. He gently roused her. Again, it took a long time for her to fight off the sleepiness, and again she seemed to eat only automatically, not with any enjoyment of the food. “How do you feel this morning?” he asked her. “Tanya feels sick, too,” she remarked, and he was puzzled for a moment before he remembered that it was the doll’s name. She cuddled it as she slid down into the bed again. She looked, he thought, lying there with the doll, younger than she was when he first met her. She was fifteen now, on the verge of womanhood, almost old enough to be his official fiancée and really look towards their wedding. But just now she looked more like a little girl, and the very idea of being engaged to her seemed to jar in his head. He reached over and kissed her cheek and brought the breakfast things out of the room before he got ready to drive to the school. He contemplated taking the day off, but there was nothing he could do except let her rest. And meanwhile he might as well fulfil his obligations to his students. They, to their credit, knew he was preoccupied and didn’t cause him any problems. They worked quietly, even keeping their telepathic chatter to the minimum, and at the end of the day they all asked him to give their best wishes to Julia, who they knew as a friend, too. Cordell and Michal were quiet in the back of the car as he set off home. They usually teased Julia and made as much noise as they could get away with. Chrístõ bought them ice creams to eat on the way home, on condition that they didn’t tell their mother and ate their tea, regardless. He bought a lot more ice cream, and fresh cream and fruit and spent a lot of time making a beautifully constructed ice cream sundae that should have tempted any appetite. Cordell and Michal begged for the left over ingredients as he brought his creation up to Julia’s room. Humphrey was still under the bed. He had stayed with her all through the day. He greeted Chrístõ in a sad voice. He put the sundae on the bedside table and shook her awake. Still she seemed to have trouble waking, and he had to help her to sit up. She smiled when she saw what he had done. “There’s so much of it. I don’t think I could eat it all,” she told him. “A girl who sleeps with a doll beside her probably shouldn’t criticise a prince on his rocking horse,” Chrístõ said with a laugh. Julia smiled at the teasing rebuke and picked up the doll. She kept it cradled in one arm as she ate the ice cream. She laughed again. The sound was thinner than it should be, he thought, as if laughing was something she needed to make an effort to do. But it was a laugh. And she was eating the ice cream with him. He felt hopeful that she was on the mend. She felt tired again, though, soon after they finished eating, and that was worrying. He tried to keep her talking, but it was a losing battle. He let her sleep. Surely tomorrow, she would be better? But in the morning, when he brought breakfast to her, she barely managed to open her eyes. She complained that she was aching all over. Chrístõ put his hands on her forehead and saw that she was feverish. He concentrated hard and drew out the heat from her body, and she managed to wake up enough to eat some of the food and drink a cup of tea. Marianna looked close to tears. Chrístõ reached out a comforting hand on her shoulder. Again, his students made his day easy for him. They all fully understood that teaching them was not his first priority, and worked quietly. He tried not to let his worries subdue them. They, for their part. Did much to cheer him up. “Thank you,” he replied gratefully as he accepted the gifts on her behalf. He was even more moved when Jennica Corr came to his side and gave him a beautifully bound book of ballet photographs. At lunchtime, Tina and Carrie, Julia’s best friends from her own class, and a girl called Louisa who was in the gym club with her, all approached the teacher’s table bringing cards and chocolates as get well tokens. Chrístõ accepted them all politely. “It’s not connected with the fall?” the headmaster asked. Chrístõ noticed the relief in his face and understood the reason for it. He was genuinely concerned for Julia, but the school’s reputation, its liability for her accident, were important to him, too. “I don’t know,” was a phrase that haunted him all day. It was his only answer to questions like ‘will she be back in school soon?’, ‘can she have visitors at the weekend?’, and of course, “will she be well in time for the inter-schools championship?’. All the questions were well meant, but they just made it harder for him. Because “I don’t know” was not a phrase he used often. He usually DID know the answers, and he was more and more frustrated every time he found himself with no better answer. He bought ice cream again on the way home. This time he noticed that the boys didn’t seem to enjoy theirs as much as they should. “Please don’t tell me you’re sick, too,” he said as he turned the car onto the fast carriageway. “We’re worried about Julia,” Michal told him. “So do I,” Chrístõ said. He was glad of the clear road ahead and the autodrive function that gave him time to wipe stray tears from his eyes and focus on his driving. Julia was no better. She barely roused enough to eat the dessert he made for her, and this time she seemed to hardly notice the taste. She looked at the cards and gifts, but even the ballet book didn’t seem to hold her attention. He examined her ankle and was satisfied that there was no long term damage to it. He again drew off the fever that distressed her. She seemed a little better when he did that. She fell asleep in mid sentence. Chrístõ sighed. Humphrey, under the bed, trilled mournfully. “She’s not the only one,” Chrístõ replied to him. That didn’t begin to cover it. He was worse than sad. In the past lonely, difficult year, Julia had been his shoulder to lean on. She had comforted him when he felt depressed and homesick. But now she was fading from him and he was close to despair. His father had told him long ago not to make such a useless complaint. The universe did not work on the basis of what was fair and what wasn’t. Unfair things happened to people who didn’t deserve them to happen. Fair didn’t come into it. “But it ISN’T fair,” he said again. Then he remembered he had intended to do some tests. He roused himself and fetched the equipment he needed. He took a blood sample from Julia’s arm. He noticed, as he applied pressure and then put a small sticking plaster over the place where he took the blood that the doll beside her had developed a bruise in the same place. It was sinister. But he knew it was probably just a side effect of the empathy suit it wore. Her blood showed nothing he could recognise as a disease. There were no bacteria, no sign of a virus. She was very slightly anaemic, but not enough to cause her to be this tired and lethargic. He gave her an iron supplement and some folic acid, but he knew that couldn’t make much more than a small difference. There was nothing more he could do, except wait and worry, and try not to lose hope. In the morning, though, Marianna came into Julia’s room and was surprised to see that Chrístõ was still sitting there by the bedside. She was shocked to hear him crying. For a moment, she feared the worst. But she could see Julia in the bed, breathing in her sleep. Marianna pressed her lips together. Herrick had said much the same last night. Not about not trusting Chrístõ, of course. They all did. But he did say they ought to get a second opinion. He had worried about how to suggest it without seeming to be doubting Chrístõ. Chrístõ nodded. He was glad, if truth be told, to have the decision taken out of his hands. He made no protest against Marianna’s orders. He went to his own room. Humphrey hugged the shadows and came with him. The family doctor might have words to say about darkness creatures under the bed. He was tired, and depressed. He forced his mind to clear after several attempts, and finally managed to reach a state of trance where even the deepest sorrow couldn’t reach him. He was able to be blissfully oblivious to it all for several hours, only slowly becoming aware of somebody shaking him. He opened his eyes and saw Herrick standing over him. They were both stunned by a shriek from Marianna. They rushed out of the room and found her by Julia’s bedroom door. She was holding ‘Tanya’. Chrístõ saw that the doll’s face was wet. His own face blanched before he turned and ran to the bathroom. He wrenched open the linen cupboard first and grabbed a big towel before he kicked the bathroom door open and ran inside. Marianna and Herrick were right behind him. They saw the overflowing bathtub and Chrístõ leaning over to wrap Julia in the towel as he lifted her from the water. He put her down on the floor and began chest compressions. She coughed and spewed bathwater from her mouth and lay there gasping and staring up at him in shock. “Chrístõ,” Marianna said, stepping forward. “I think you’d better let me look after her now.” She was right, of course. He stepped back and let Marianna help her stand up, wrapping the towel fully around her and taking her back to her room. Chrístõ went to empty the bath while Herrick stood at the door, holding the doll that Marianna had thrust into his hands in order to help Julia instead. “Neither do I,” Chrístõ answered him. “But I mean to find out.” He took the doll from him and looked at it closely. The face was dry, now, but there was a faint scent on it, matching the relaxing bath crystals. It was wearing a pink flannel nightdress now, just like Julia’s. When Marianna had picked it up it was in the simple vest and knickers – the default state, just as Julia had been in ‘default state’ in the bath. She was feeling weak and tired. She might have fallen asleep accidentally. Or could it have been something more sinister? He thought back to the day she fell off the beam. A ‘simple’ back flip Julia had said. She didn’t understand what she did wrong. Marianna said the doll fell. But did the doll fall and cause Julia to be hurt or did Julia being hurt cause the doll to fall? The doll wasn’t in water, Julia was. The doll’s face had got wet when Julia slipped under the water. “Yes…” Chrístõ thought about that, then he walked back to Julia’s room. He knocked and Marianna let him in. “She’s gone right back to sleep,” she said. Marianna did so. Chrístõ went to Julia’s dressing table. He looked among the bits and pieces in a jar and found a fancy gold pin that fastened a wrap around skirt she sometimes wore. He opened the pin and used it to score along the doll’s arm. Julia screamed in her sleep and Marianna cried out as she saw a deep scratch appear on Julia’s arm. Chrístõ was at her side at once, with his sonic screwdriver ready in tissue repair mode. He mended the bleeding scratch and caressed her cheek gently. “Sorry, sweetheart,” he whispered. “I had to find out.” He kissed her forehead and stood up. He looked at her aunt and uncle as they stared in horror at him. Chrístõ carried Julia, wrapped in the duvet from her bed. Marianna and Herrick followed. Humphrey, of course, came with them, into the TARDIS. “The Zero room,” Chrístõ said as he crossed the floor and along the inner corridor until he reached the room with soft, diffused light and the pleasant scent of rose petals in the cool air. “Yes,” Chrístõ laid Julia on the floor. She looked small and pathetic lying there, but she seemed peaceful, too. Her face was much more relaxed and she didn’t look as if she was in pain at all. Marianna and Herrick stepped out of the Zero room with him. He closed the door. But as soon as he did Marianna noticed that the doll looked wrong Its lips were turning blue and its eyes seemed to be glazed as if it was suffocating. Chrístõ opened the door again and ran to Julia. She was breathing deeply and noisily, as if she had been unable to breathe, but she was all right now. “We can’t separate her from the doll,” Chrístõ said. “It will have to stay with her for now. Until we know what to do.” Marianna put it beside her. Instinctively, she reached out and hugged it close to her. They went back to the console room and Chrístõ programmed their trip to the market district of New Canberra. The market was a very lovely place. In the centre of the square was a traditional open market where all sorts of goods were sold from stalls with coloured canopies over them. Around the square were small shops and workshops, mostly traditional crafts like leather tooling, hand made paper, candlemakers, glass blowing, spinning and weaving. In many of the units the craftspeople demonstrated their skills. For anyone with less urgent business than they had, watching them was a pleasant way to spend an afternoon. “It’s this one,” Marianna said. Chrístõ looked at the shop window. There were lots of woven cloth goods for sale – quilts and pillow sets, table cloths, and also the dolls dressed in pretty white lace dresses that looked like a newborn baby’s layette, except that these were not baby dolls, but more like little girl faces. They were all different. One had tight golden curls, another had long dark hair in a pony tail like Julia wore when she did gymnastics. Another was red-headed and ringletted. A dark skinned one had long black pigtails. The dolls seemed to represent all Human diversity. Chrístõ could see why Marianna had thought Julia would love one. They went into the shop. An old fashioned bell jingled and a young woman came in from the back. Chrístõ asked about the proprietor. The young woman answered that the business was owned by a Mrs Parfitt, who was a skilled weaver and seamstress and made all of the things sold in the shop. She pointed out two hand looms where she demonstrated the skills and bags of yarn beside them. Chrístõ examined the cloth. One was a bright poplin of deep green-blue colour. The other was plain white, but he felt the fabric and the yarn and detected the morphic quality of Empathy cloth. “Where is Mrs Parfitt?” Herrick demanded, not caring how or why the dolls were dressed in a fabric that would cost him a month’s wages if it were a dress for his wife, only that this shop somehow held the key to Julia’s illness. “She’s not here,” the woman answered. But Chrístõ, looking at her carefully, knew she was lying. “She’s not here, at her loom, on a Friday, with the market in full swing?” Marianna was suspicious of that. “I sympathise,” Marianna answered. “And I understand. My child is ill, too. But I think…” She broke off uncertainly. What DID she think? The doll made Julia ill? It sounded silly now. “We’ll come back tomorrow,” Chrístõ said and took Marianna by the arm. They all went back to the TARDIS, disguised as a closed up candy kiosk by the edge of the market. “I want to talk to Mrs Parfitt,” Chrístõ answered. “I’m going to find her address in the city register and then..” He started to do just that, using the TARDIS computer to hack into the register, but something on the environmental console caught his attention instead. “What…” He watched the monitor carefully. Herrick drew closer, wondering what was so important, but all he could tell was that there was some kind of room plan or schematic on the screen. As he opened the door, the Zero room became visible on the schematic. Julia’s lifesign was within. So was a small blip that Chrístõ knew to be the doll. Julia and the doll were joined by a short line just like the one that ran through the TARDIS. When the door opened that line joined with the doll forming a complete connection between Julia, the doll, and wherever the longer line of energy went. “Where does the line go?” Herrick asked. Julia’s aunt and uncle said nothing. They didn’t know what to say. They didn’t express any surprise when the TARDIS materialised in a small, dimly lit room that Chrístõ said was behind the doll maker’s shop. He stepped out and they followed behind, trusting that he knew exactly what he was doing. The room had a window, but it was covered by a curtain. In the dim light, though, he could see a bed, in which a young girl, maybe ten or eleven, was lying. She looked very ill. A thin, tired looking woman who had to be her mother turned from the bedside as the TARDIS appeared in default mode, blocking off the door to the shop. She stepped in front of the bed, as if shielding her child from the intruders. Marianna caught hold of Mrs Parfitt’s arm and held her back from him. Yes, he saw it in her memory. Endless hours in the hospital, treatments that made her feel sicker than the illness itself. Beta Delta IV had a free medical system for everyone who needed it. A sick child would have the very best treatments available, and in the 24th century leukaemia, though a frightening and debilitating illness, was usually treatable. Almost every child who received medical attention recovered fully. Sarah must have been one of the tiny minority for whom the treatments didn’t work, for whom there was nothing Human science could do. At least not the sort of Human science that was practised in the hospital. He had already said it. What used to be called voodoo or witchcraft was a science that had never properly been researched. It should properly be called psychic transference. And it was exactly what Mrs Parfitt had done. “I am sorry, but it ends right now.” He pressed one hand more firmly against Sarah’s forehead. The other touched her chest over her heart. He felt it beating fast in fear and gently steadied it. He didn’t want to cause her distress. But he had to stop what was happening. He found the energy line, cut off now at one end because Julia was in the Zero room. He cut it off at this end, too, and in his mind’s eye he saw it dissipate. “You’ve killed my child,” Mrs Parfitt wailed as Marianna both restrained and comforted her at the same time. She was angry at what had been done to Julia, but she was a mother, too. She sympathised with this mother’s plight. Mrs Parfitt came to her daughter’s side. They all watched as she hugged her tightly. Yes, what she had done was understandable. It just wasn’t justifiable. “And Julia won’t die?” Marianna asked. He stood up and turned away. Herrick and Marianna followed him back into the TARDIS. “Go and get her,” he said. “We’ll be back home in a few minutes.” He pressed the button that automatically opened the Zero room door as Marianna ran through the corridors. By the time he had programmed the return to the TARDIS’s default home these days in his bedroom, they came into the console room. Julia was walking on her own two feet, shakily, after being sick for days, but she looked much better. She clung to her doll, in matching nightdress. Chrístõ opened out his arms and she ran to his embrace. Humphrey trilled happily as he hugged them both and then bounded off to do the same to Marianna and Herrick. They wouldn’t tell her. The glances exchanged between the adults made that clear. 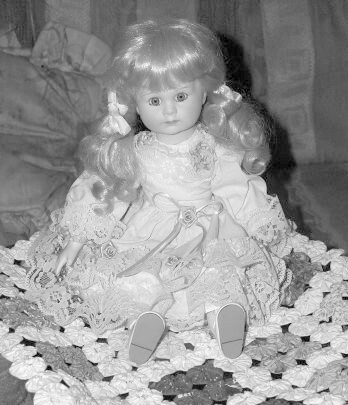 Nobody would reveal that the doll Marianna had bought her as a loving birthday gift had nearly robbed her of her life. “I’ll leave Tanya behind,” she said, looking at the doll and then sitting it on the environmental console. “I don’t mind you knowing I sleep with a doll. But if anyone from school saw me…” She smiled brightly as she headed out of the TARDIS and back to her bedroom. Marianna followed her. Chrístõ and Herrick waited and watched the doll. They were neither of them surprised when its clothes changed to a warm woollen jumper and a wrap around skirt fastened with a gold pin. 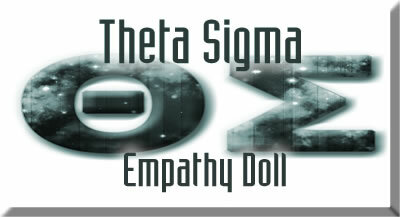 “The empathy cloth still works in that way. But that’s the only connection now,” Chrístõ explained. “It always will, as long as she keeps the doll.” He smiled as he remembered what she had said yesterday about Tanya having a wedding dress like hers. He thought he would like to see that. But Tanya was definitely not coming on their honeymoon.